Auckland University of Technology has partnered with PharmaCann New Zealand Ltd to research the development of medicinal cannabis products in New Zealand. AUT Dean of Health and Environmental Sciences Max Abbott and PharmaCann CEO Chris Fowlie have signed an agreement outlining collaboration between AUT’s Drug Delivery Research Group and the Auckland-based PharmaCann. “It is important to increase scientific understanding of the ways in which cannabis and cannabis derivatives can benefit health. It is also important that these products are of known and reliable quality and are affordable,” says Professor Abbott. The parties aim to have therapeutic formulations developed and in clinical trials by the time new government regulations for cultivation and manufacture of medicinal cannabis-based products (CBPs) in New Zealand come into force, probably next year. Although New Zealand doctors can now prescribe the medical product cannabidiol (CBD), it can only be sourced from overseas and is not eligible for Pharmac funding, making it prohibitively expensive and out of reach of most New Zealanders. “Our vision is to develop and manufacture in New Zealand natural cannabis-based products that are as good as anything available overseas, at more affordable prices for patients,” says Fowlie. AUT’s Drug Delivery Research Group, led by Dr Ali Seyfoddin, will work on extraction of medicinal compounds from locally grown plants and the development of oral and topical (skin) formulations. AUT’s Drug Delivery Research Group conducts research to safely and efficiently deliver drugs to their site of action. The DDRG works with 3D printed, nano and microcapsule-based drug delivery systems for human and veterinary use. PharmaCann New Zealand Ltd is a vertically integrated cannabis business established to provide safe access to legitimate medicinal cannabis at more affordable prices. The company intends to develop and build cultivation and production facilities in New Zealand to produce a range of CBPs including extractions and formulations with a variety of delivery methods. A recent proposal to MPI’s Sustainable Farming Fund (SFF), led by Dr Ali Seyfoddin, successfully secured $300K to develop a new feed for farmed paua in New Zealand. SSF invests in applied research and projects that deliver economic, environmental and social benefits to New Zealand and it is believed that this project will revolutionise the current feed technology in aquaculture by maximising uptake and growth rate of animals while minimising ocean nutrification. 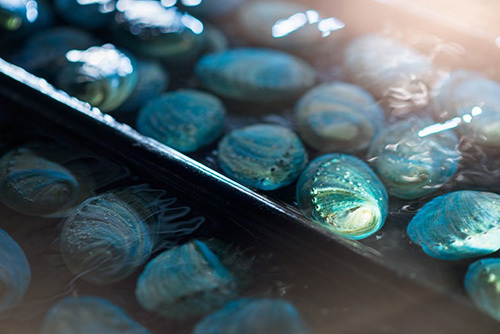 AUT’s multidisciplinary paua programme has been looking at many aspects of abalone aquaculture under the leadership of Prof Andrea Alfaro with Ali looking at developing advanced feed technologies and value-added products. This project is co-funded by Moana LTD who were very excited about the preliminary results obtained by AUT’s PhD candidate, Sara Masoomi. Sara has developed a very advanced encapsulated feed technology which is very simple to scale-up and her progress and involvement has been the key for the success of this application. This funding will allow the newly developed feed technology to be tested and trialled in Moana Blue Abalone farm in Ruakaka before being mass-produced. Prof. Andrea Alfaro from the School of Science is a Co-Principal Investigator on the successful Cawthron Institute led project titled "Optimising detection, diagnostic, prediction and management strategies for NZ aquaculture health”. This is a very significant grant worth $14,598,200 over the next five years. The AUT team also includes Associate Investigators, Prof. Nikola Kasabov, Associate Professor Fabrice Merien and Dr Ali Seyfoddin as well as Post-Doctoral Fellows with AUT’s part of the grant just over $3.5m. Spanish researcher, Alaitz Etxabide from University of the Basque Country, Spain, has been awarded a PANTHER-Erasmus Mundus postdoctoral fellowship in “AUT Drug Delivery” funded by the European commission. Alaitz will join our group in September 2017. Her application was under “Power, Renewable Energy and New Energy Sources” titled: Development of gelatin scaffold using 3D printing: Effect of lactose-induced crosslinking reaction on biomaterial properties. PhD student Ghada Zidan receives the prestigious AUT VC Doctoral Scholarship. 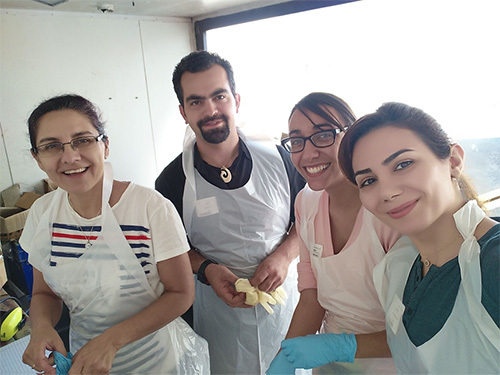 Ghada is supervised by Dr Seyfoddin and Drs Ilva Rupenthal and Carol Greene in AUT and UoA. PhD student Seyedehsara Masoomi Dezfooli receives the prestigious AUT VC Doctoral Scholarship. Sara is supervised by Dr Seyfoddin and Drs Andrea Alfaro and Neomi Gutierrez in AUT.